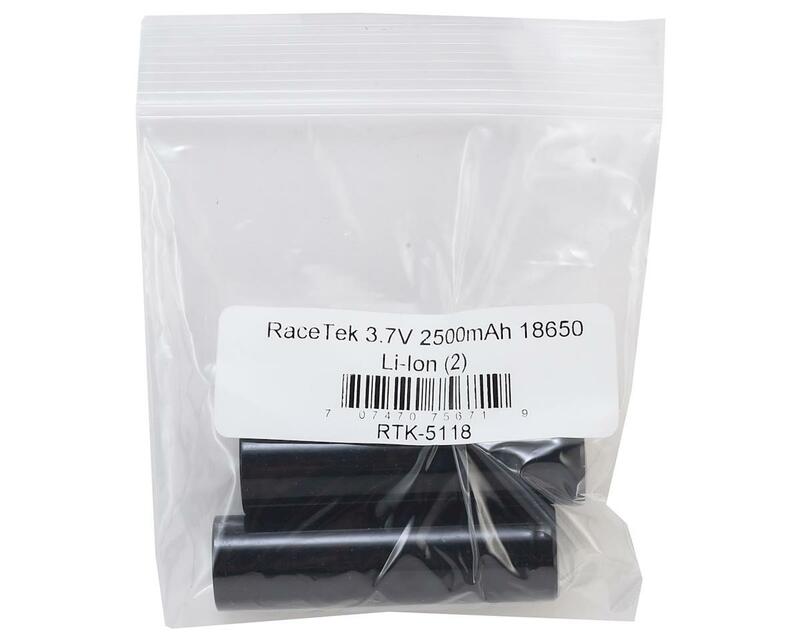 This is a package of 2 Racetek 2500mAh 18650 Li-Ion batteries. 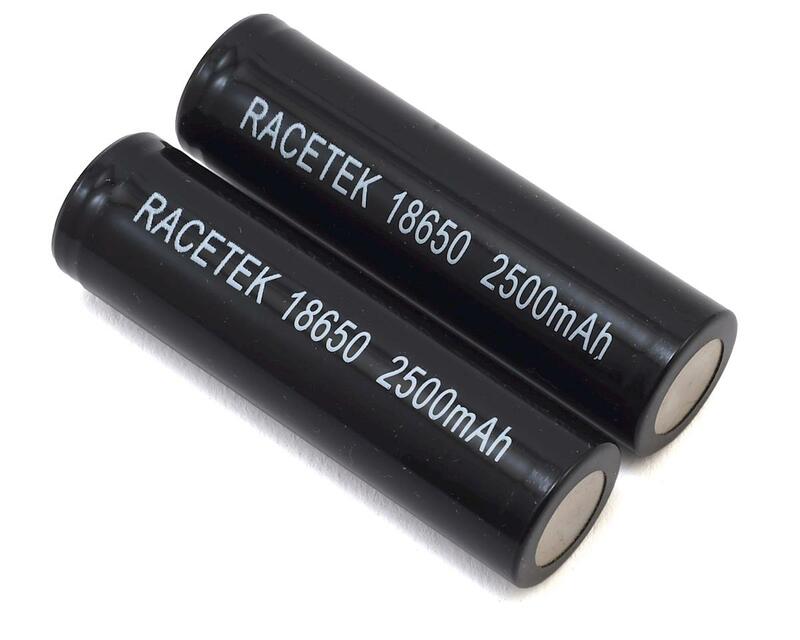 These batteries are intended for use with low current draw devices such as RC transmitters or receivers, FPV goggles and flashlights. NOTE: Use caution as misusing or mishandling the battery may cause a FIRE or EXPLOSION which may result in personal injury or property damage. The user must have an appropriate understanding of the potential dangers of LITHIUM ION BATTERIES before purchase and usage. No express or implied guarantee of compatibility, suitability, or fitness for any particular purpose or device can be made. This battery is manufactured and sold for the intended use of system integrations with proper protection circuitry or battery packs with a BMS (battery management system) or PCB (circuit board/module) with low voltage cut off and proper peak detection software. This battery is neither designed nor intended to be used with an E-CIGARETTE, VAPORIZER, or similar device. USAGE OF THIS BATTERY IS AT YOUR OWN RISK!